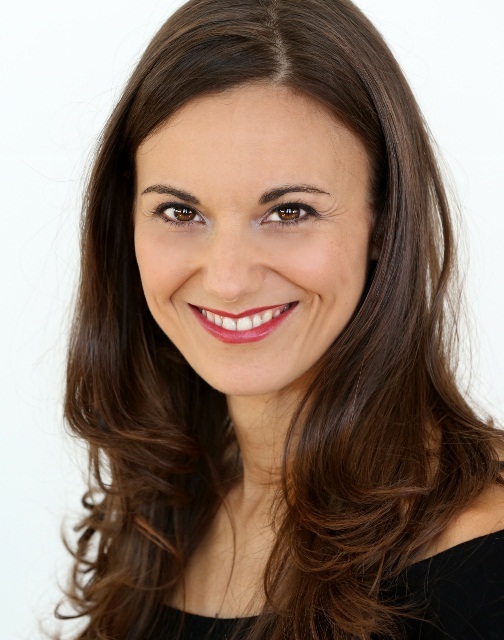 PARIS PLAGES (PARIS BEACHES) – Oh La La, I Speak French! Instead, every summer since 2002, tons of sand are brought to the banks of the Seine river to add a coastal flavor to the City of Lights. 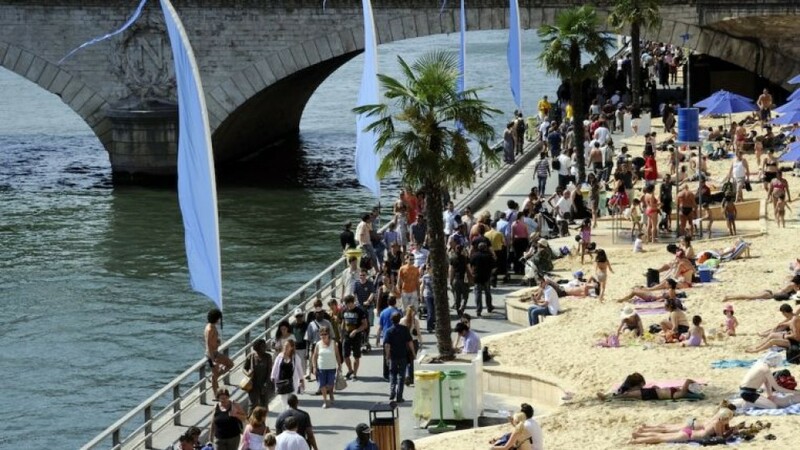 Palm trees, bikinis and sun loungers invade the heart of the French Capital and replace an area that would otherwise be taken over by polluting cars and noisy traffic. The front of the town hall itself is turned into a beautiful beach where people can do all sorts of activities, from sun bathing to attending concerts and dancing! Isn’t that a greatopportunity to enjoy an otherwise fast-paced and sometimes stressful environment? 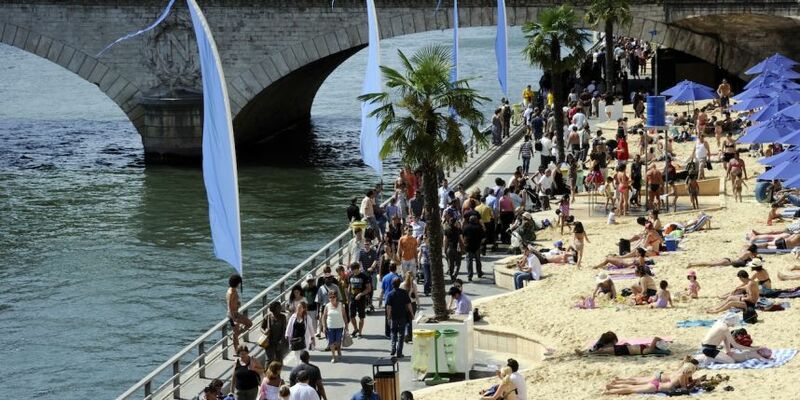 Paris Plages usually takes place from July 20th to August 20th (roughly).